Hi Fellas! In this video, I’m showing you a recent purchase I made from Amazon. It’s a 12-bay watch case with a lower storage drawer. It was only $59 on Amazon and I think it was a good pick up. If you have more than a few watches, it’s nice to have a place to put them. This one from Glenor Co I found on Amazon is made pretty well and it has a faux carbon fiber finish. It looks nice, it feels nice and it even smells good. Take a look at the video for a closer inspection. 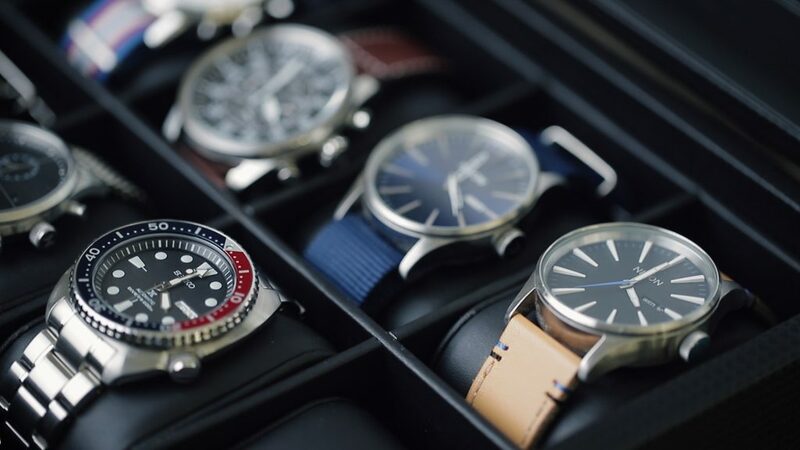 If you’re looking for a decent watch case that won’t break the bank, hit the link above to check it out for yourself. They also make smaller versions as well as larger versions. 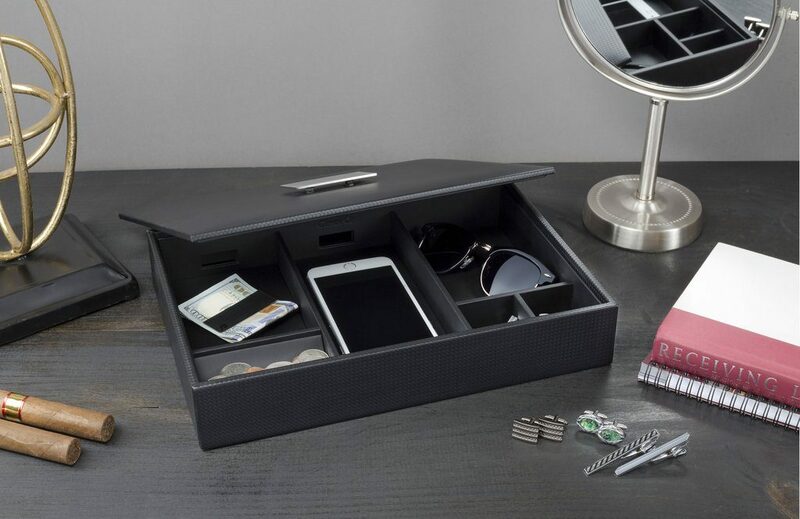 They also make bed-side valet trays to hold your stuff. I love those! I noticed your watches were all round faces. I’m working on my collection as well. Most of mine are round with light faces, no blue or black dials. But, I think I need to add one or two dark faces and a rectangle/tank style. Any considerations for matching your dial faces with your outfit? What do you look for in a watch to wear with formal or black tie? I appreciate your blogs! Thank you for taking the time! Hi Michael, for formal events, I believe the watch should be minimal, thin and have a light dial and leather strap. Most all of my watches lean more casual, so if for example I’m wearing something blue, I can go with a watch with a blue dial. If I’m wearing a darker tone outfit, I might go with a black dial. These aren’t rules, and you can easily reverse all this, but just mess around and have fun with it. Thanks for your comment!